Leaded Flower 36X24 Pewter Mirror. A flower design made with bevelled glass shaped pieces set on a bevelled mirror in a brushed pewter frame. Overall size.98X68cm. Leaded Flower 36X24 Pewter Mirror. 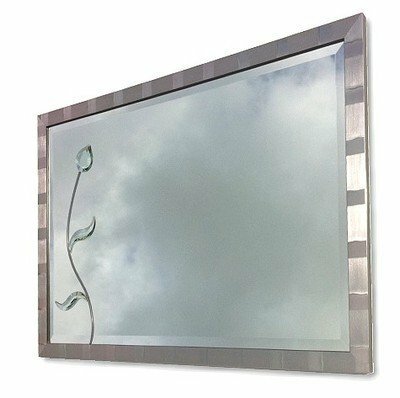 A contemporary flower design made with bevelled glass pieces set on a bevelled mirror in a brushed pewter frame. An elegant design made in our own workshop.